Kaizad Hansotia moves ahead – full steam! The entrepreneurial bug bit Kaizad Hansotia when he started his first business at the age of 16. Looking to help his family financially by paying his own college fees, he travelled from his hometown of Vadodara, bought electric bats to kill mosquitoes (which were then a novelty) from Mumbai, and sold them door-to-door in local neighbourhoods for three times the price. Since then, he has been part of multiple businesses. The MBA graduate finally took a plunge into the startup ecosystem in 2012, and has worked as CMO in two ed-tech startups – Scholarly and MyTestBuddy. He, however, sought to start up on his own, and inspiration came from his sister Dilshad, who had studied fashion design and dreamt of starting her own label. Kaizad saw how challenging it was for Dilshad to design ensembles every season, and simultaneously sell them in a short period of time. With the idea of supporting upcoming fashion designers and connecting them with the right consumers, Kaizad launched online platform GetNatty on Women’s Day in 2016. “Currently, there is no effective way for fashion designers and entrepreneurs to start up their labels or grow their existing brands. Also, there is no trusted way for consumers to discover and interact with newer fashion designers. I wanted to build infrastructure for budding designers and provide a platform to showcase their creative talent,” says Kaizad. To bridge this gap and create a supportive fashion ecosystem, Kaizad knew technology was the way. GetNatty was started with Rs 80 lakh from his own savings, as well as from family, friends and some HNIs. The online marketplace helps designers grow their businesses by increasing brand awareness and visibility, helps them style celebrities, and even work with fashion influencers. GetNatty also enables designers to exhibit their collections in cities across India, as well as showcase them in multi-designer stores and even sell internationally. Using data intelligence, GetNatty enables a designer to avail all these services under one roof. Kaizad believes there is tremendous opportunity in the highly unorganised designer-wear market that will cross $2 billion in India by 2020, and is growing at a CAGR of 40 percent according to ASSOCHAM. “Globally, the designer wear industry is expected to cross $200 billion by 2020. India represents only one percent of it. India needs an umbrella brand like GetNatty that can put us on the global map,” he tells YourStory. GetNatty’s target customers primarily are fashion-conscious women in the mid-to-high income group between the ages of 25 to 45 from Tier I and Tier II cities. Of more than 3,000 stock keeping units, the most popular products are jumpsuits, gowns, clutches, dresses, tunics, sling bags and sandals. Kaizad believes that globally, consumers prefer to buy niche products as opposed to mass market brands, and this trend is expected to continue. “This is mostly due to the products’ authenticity, personalised experience and the story attached to it,” he says. Kaizad adds that he looks up to Zillingo, a startup focused on APAC and Southeast Asia, which follows a similar model. Co-founded by former Sequoia Capital investment analyst Ankiti Bose, this three-year-old startup has already raised $82 million. “Their success shows that this model works, and the market is worth exploring. We also want to go outside India, beginning with an exhibition in Dubai in August,” he says. In India, GetNatty’s closest competitor is Pernia’s PopupShop, and internationally it is FarFetch. “The price points of the products listed on Pernia’s are about three times higher than ours, and majority of their orders come from outside India. They do not provide a platform for upcoming designers, and are only focused on selling highly curated designer wear from a selective list of designers,” says Kaziad. Kaizad believes there is tremendous opportunity in the highly unorganised designer-wear market. Onboarding designers at GetNatty is done carefully. GetNatty’s team of 10 includes professionals with extensive experience in Indian and international fashion. They handpick designers keeping the requirements of customers in mind. He adds that one of the key performance indicators for GetNatty is by how much does a designer on the platform grow their business. It also focuses on the number of users, repetition rate, time spent on the site, conversion rate, referrals, and brand recall value. To better serve designers, GetNatty has also partnered with exhibition and fashion event organisers, multi-designer and fashion retail store owners, up and coming photographers, models, stylists, influencers, hair and make-up artists, branding and PR professionals, event managers, décor partners, wholesale buyers and boutique owners, and logistics companies. In India, only three to four percent of the total retail market is online, and Kaziad believes there is tremendous opportunity for GetNatty to adopt a hybrid online-to-offline model. GetNatty looks to capture consumers who may use the online mode for discovery, but prefer to shop offline due to the touch and feel factor. It has more than 1,000 customers and a majority of the sales come from the offline channels. GetNatty has already conducted more than 20 exhibitions across the country. Exhibitions, fashion events, affiliate marketing websites and multi designer stores are where the startup’s target consumers hang out, so GetNatty comes up with creative ways to attract, convert and retain them. GetNatty has already conducted more than 20 exhibitions across the country. In multi-designer stores, customers can find multiple designer products under one roof, see the product in real time, give a customised orders, get styling tips and also get a product altered. “For offline orders through exhibitions and stores, we have created appropriate systems and checks in place to ensure that the quality of the product is properly inspected prior to delivering to the customer. For online orders however we work on a drop shipment model,” Kaziad says. He adds that their offline outlet ‘GetNatty In-store’ is scheduled to go live by October 2018. GetNatty offers a yearly subscription service for designers ranging from Rs 2500 to Rs 6000. It also provides customisable packages with photography, celebrity styling, multi-designer store retailing and wholesaling, which range between Rs 9,999 and Rs 24,999. In addition, it charges a transaction fee of 11.8-27.5 percent on each sale, depending on the quantum. The products start from Rs 2500, and go up to Rs 25000. The average price point of their products is Rs 3000-Rs 4000. GetNatty is currently closing its first seed round. “We have witnessed a monthly revenue growth rate of 73 percent, and over 98 percent in terms of designer onboarding. We are seeing an exceptional growth in our annual GMV, about 107 percent month on month, and we are anticipating to grow at least 5X next year and another 10x the year after that,” Kaziad says. Although it has an office in Mumbai, being based out of Vadodara has had advantages and disadvantages for GetNatty. While there is a lack of opportunities and ecosystem support, Vadodara provides low cost of living, which has helped reduce overheads. In the current fiscal, GetNatty aims to achieve more than 10,000 users and 3,000 designers, conduct 50 exhibitions and open 10 stores. The words were uttered memorably by Jamsetji Tata, the man who broke new ground for Indian entrepreneurship much before the term was coined. Some time back we brought to you a podcast about how the idea of the great big Indian business family continues to endure at a time of brash, young but uproariously successful ideas. And no business exemplifies this resilience better than Tata Sons. As we mentioned in the last podcast, entrenched family businesses are more politically savvy than new players and understand how to adapt to India’s ever evolving social and entrepreneurial landscape. Even as two of Tata’s flagship companies, Tata Motors-owned Jaguar Land Rover and Tata Steel Europe, navigate international negotiations currently, the headlines today state that Tata Sons has appointed former foreign secretary S Jaishankar as president, global corporate affairs. This is clearly a well-thought out move and bodes well for the company. He will be overseeing Tata group’s global corporate affairs and international strategy development. In an official statement, Jaishankar said that he looks forward to working with an iconic institution known for its value-based leadership. His statement conveying in not so many words that a pioneering business enterprise evokes more than just numbers. So let us today, talk of a success story that is not just about products but legacies. A legacy which now includes TCS, the freshly minted USD 100 billion company. It is also time for us to acknowledge on this podcast the irrefutable fact that even those of us who have never worked for a Tata company have been touched in some way by its services, products and messaging. It was in 1988, that the Tatas first ran an ad on Doordarshan, not about a product but nation building. It showed us the impact conscientious corporate policies have on employees and even consumers. That ad captured in a few seconds the idealism of the founding fathers of Tata Sons. 1988 was also the year, Tata Steel became the only integrated steel company in the world outside Japan to win the Deming Application Prize for excellence in Total Quality Management. The ad with the punch line, “We also make steel” also summed up what we would come to understand in the years to come as CSR (or corporate social responsibility).The Tatas in a way pioneered the idea of philanthropy being intrinsic to corporate philosophy. And so it turns out that the term family in the case of Tatas has always had a broader meaning. And as was evident in the famous ad, The Tatas did not just build a steel plant. They built a city for their employees where there are more amenities than some of the biggest metro cities in India. The city has multiple academies for varied sport disciplines, golf courses, a hospital, leafy avenues, stadiums, a local power utility and a lot more. Jamshedpur or Tata Nagar was built in 1907 and today the Tatas’ contribution to its infrastructure even includes an Rs 100 crore, 11-km highway. This level of investment in human capital is what lasting legacies are built of. And that is why, too many Tata employees, being part of the Tata family means that often succeeding generations also end up working for the company. And yes, Tata Steel hasn’t seen a day of strike since 1928. And we are just beginning to scratch the surface of what the Tata family stands for. Even as first generation entrepreneurs in India challenge entrenched business houses with out of the box ideas like Flipkart, old warriors like Tata Sons are striving to remain relevant by diversifying and exploring new avenues constantly. Tata sons continue to exemplify the undiluted power of a family owned business, having weathered storms of all kinds through the decades. And the Tata family is thriving still in a country far different from the one it was first conceived in. Many Tata companies have achieved global prominence over the years as they redefine their skill profiles to suit the ever evolving business environment. Tata Communications for instance is a leading international wholesale voice provider and Tata Motors is among the top ten commercial vehicle manufacturers in the world. While Tata Steel, the heritage brand of the Tate empire is among the top fifteen best steel companies, TCS is the second largest IT services company in the world. Tata Global Beverages continues to be the second-largest tea company in the world and Tata Chemicals is the world’s second-largest manufacturer of soda ash. The Tatas originally arrived in Mumbai from Navsarii, Gujarat and the first man in the family to strike gold was Jamshedji Tata. Jamshedji Nusserwanji Tata was not just the patriarch of the Tata business empire but the father of modern Indian entrepreneurship. It was in 1868, that Jamshedji Tata founded the Tata group which went on to become a global enterprise, comprising over 100 independent operating companies operating in more than 100 countries across six continents. In 2016-17, the cumulative revenue of Tata companies, was USD 100.39 billion. According to the Tata website, there are 29 publicly-listed Tata enterprises today with a combined market capitalisation of about USD 130.13 billion (as on March 31, 2017). 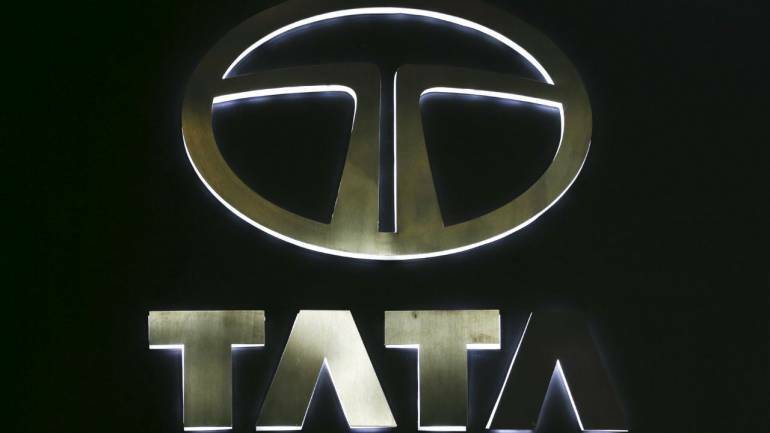 Tata companies with significant scale include Tata Steel, Tata Motors, Tata Consultancy Services, Tata Power, Tata Chemicals, Tata Global Beverages, Tata Teleservices, Titan, Tata Communications and Indian Hotels. The original vision that fuelled the conception and expansion of industries of steel, hydro-power, hospitality and airlines went on to create path breaking entities. Entities such as TCS, India’s first software company, and Tata Motors, which has to its credit India’s first indigenously developed car, the Tata Indica and the smart city car, the Tata Nano. Tata Sons however continues to be the principal investment holding company. A remarkable aspect of this story is that sixty-six percent of the equity share capital of Tata Sons is controlled by philanthropic trusts supportive of art and culture, education, health, livelihood generation etc. The majority shareholders of Tata Sons, have routinely endowed institutions to research science and technology, medicine, social studies and the performing arts. The trusts also provide aid and assistance to non-government organisations working to improve education, health care and livelihoods. The company’s mission statement in its own words continues to be based on, customer-centricity, innovation, entrepreneurship, trustworthiness and values-driven business operations. All this while the company balances the interests of diverse stakeholders including shareholders, employees and civil society. And it all began with Jamsetji’s vision of building India’s first steel mill and hydro power plant that would galvanise industry in India.His most important contribution though was to create an aspirational idea of India where Indian entrepreneurship could claim its place proudly on the global stage with other industrialised nations. He was energised by the patriotic idealism of a man who not only wanted to create an empire but to root it in humanism. That he envisioned the House of Tatas spanning generations at a time when India was colonised and was crushed by poverty is even more remarkable. On March 3, 1839, in Navsari, Gujarat, he was born to Nusserwanji Tata, into a family of Parsee priests. His father paved the way for him by breaking away from the tradition of priesthood and establishing a banking business. Jamsetji was enrolled at Elphinstone College, from where he graduated in 1858 and soon he joined the small firm that his father ran. He was just 20 and soon began to learn about commodities, markets, trading and banking. In 1868, aged 29 he started a trading company with a capital of Rs 21,000. Already a visionary, he acquired a defunct oil mill in Chinchpokli, in Bombay, and converted it into a cotton mill. Even though, he sold the mill two years later, he went to England, to exhaustively study the Lancashire cotton trade. In 1874, Jamsetji founded the Central India Spinning, Weaving and Manufacturing Company, with a seed capital of Rs 1.5 lakh. Three years later, his dream project. Empress Mills came into existence in Nagpur. He was 37. From about 1880 to his death in 1904, Jamsetji devoted himself to three of his big dreams, setting up an iron and steel company, generating hydroelectric power, and creating a world-class scientific institution. He died without fulfilling these dreams but his spadework resulted in future generations giving shape to his unrealised ideas. His heirs would remember his heroic efforts to build a steel company despite the odds presented by a scornful British empire and road blocks at every step. Eight years after his death, the first ingot of steel rolled out off the plant’s production line. The year was 1912 and helming his vision were now his son Dorab and cousin RD Tata. In his lifetime, Jamsetji also laid the foundation for the company’s well-known worker friendly policies by offering his employees shorter working hours, well-lit and properly ventilated working spaces, and provident fund and gratuity benefits even before they had become mandatory in the West. We have already mentioned Jamshedpur and it was Jamsetji who had visualised the concept of an idyllic workers’ township at a steel plant five years before even a site for the enterprise had been chosen. He had visualised wide streets planted with shady trees, plenty of space for lawns and gardens, areas for football, hockey and parks. The secular nationalist also wanted spaces earmarked for temples, mosques and churches. It was poetic perfection that when his vision became a reality years after his death, the city that was built would be named after him and called Jamshedpur. Inspired by his dream to encourage India’s brightest minds with the JN Tata Endowment in 1892, the inheritors of this legacy established Tata scholarships. They would go on to touch so many lives that by 1924, two out of every five Indians in the Indian Civil Service happened to be Tata scholars. To establish an Indian Institute of Science, Jamsetji had set aside Rs 30 lakh of his money, had even drawn a blueprint and beseeched the Viceroy, Lord Curzon, and Swami Vivekananda for their literal and ideological support. But despite these efforts, he did not live long enough to see the Indian Institute of Science come up in Bangalore in 1911. The hydroelectric project too was completed after his demise. Among the dreams he lived long enough to realise was the Taj Mahal Hotel in Bombay. He wanted to build a world class hotel showcasing Indian hospitality after being denied entry into one of the city’s hotels. It cost Rs 4.21 crore by the time it was finished and was the first building in Bombay to use electricity and as the trivia on Tata website states, this was the first hotel in the country to have American fans, German elevators, Turkish baths, English butlers and whole lot more. The house of Tata that we know today was hence built on the shoulders of this man whose founding ideals were then carried forward and interpreted by succeeding generations making the family business more than just about the immediate family. As he wanted, the name Tata today stands for not just cutting edge entrepreneurship but philanthropy. He passed away in Germany in 1904 and the chairmanship of the Tata group passed to the elder of his two sons, Sir Dorab Tata. The Sir Ratan Tata Trust is today the second largest of the Tata trusts. Another Tata scion Naval Tata also contributed liberally to the fields of business, sports administration and labour relations. On the other end of the spectrum was the unstoppable energy of JRD Tata (Chairman, Tata Sons: 1938 – 1991) who put India on the aviation map and pioneered civil aviation in the subcontinent in 1932 by launching the airline now known as Air India. The true capital of the Tata group of companies is its work force of over 6,60,000 people worldwide. And as the company says, “Taking good care of this large family is a priority for the Group.” So as we said before, clearly the word family has more than just one meaning when it comes to the Tatas. R. N. Kerawalla & Co. one of the oldest “Everything Zoroastrian” Stores in India is delighted to inform you of its Worldwide delivery service. Yes you read it right… a Worldwide delivery service for anything and everything Zoroastrian. Requesting you to kindly share this e-mail with your family and friends. R. N. Kerawalla & Co. Launched on September 1 last year, Parsika is an effort by four Zoroastrians to help our community do what it does best – eat to its heart’s content. As their Facebook page so honestly puts it – Parsika aims to connect those who love good food with those who make it. Marking their debut with probably the most lip-smacking Badam Paak this author has ever tasted, the company also markets a very authentic Vasanu, some truly melt-in-your-mouth Orange and Coffee Ganache and a range of evergreen Assorted Chocolates. All products are handcrafted using the finest ingredients possible. If you have still not experienced Parsika’s delicious delicacies, call + 91 98207 67726 for free home delivery. In the short span since its launch, Parsika has won over the taste-buds of more than just the the Parsi community. Besides being available at over 30 restaurants and various retail outlets from Colaba to Jogeshwari, Parsika’s signature Badam Paak, Ganache and Chocolates have gained enormous popularity. From social and corporate gifts to office parties, social gatherings and other momentous occasions, Parsika is slowly but surely carving a special niche in the hearts (and tummies) of food lovers across the city. This publication wishes them the very best and looks forward to being delighted with the next delicacy that Parsika promises to tickle Parsi palettes with. Until then, Badam Paak khaava chaalo ji. The annual Global Real Estate Awards recognize and reward excellence across the real estate in the region across multiple organizational as well as individual award categories. This particular award recognizes leaders who have most effectively shaped their business success, delivered outstanding growth and contributed to the well-being of the society. The Business Leader of the Year award is a fitting endorsement of all that the platform has achieved through the work of each and every member of the Piramal Finance & Piramal Housing Finance team.